UPTON, NY–The U.S. Department of Energy’s (DOE) Brookhaven National Laboratory has joined the IBM Q Network Hub at DOE’s Oak Ridge National Laboratory. 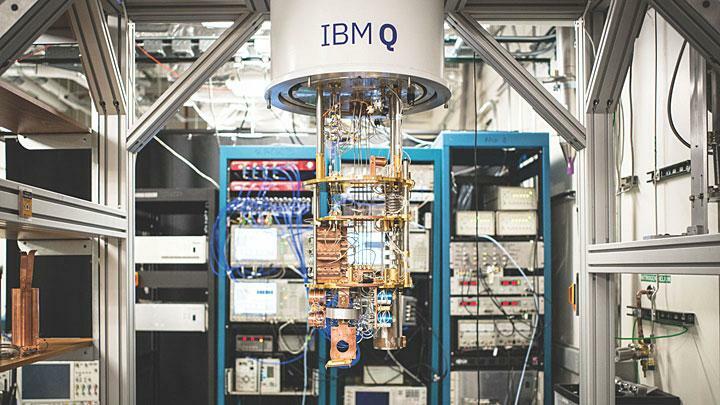 This hub is part of an international community of Fortune 500 companies, startups, universities, and research labs that is working with IBM to advance quantum computing and explore its practical applications. Quantum computers show promise to solve real-world problems that are intractable for today’s computers to solve alone; however, realizing this benefit will require significant research and development. The IBM Q Network was formed to accelerate these efforts by providing organizations with access to IBM’s commercial quantum hardware via the cloud; quantum software tools, libraries, and applications; the expertise of IBM scientists, engineers, and consultants; and a global quantum computing community. Within the IBM Q Network, Brookhaven is a member of the IBM Q Hub established at Oak Ridge. This hub was announced in 2017 and added three other DOE national labs in January 2019: Argonne, Lawrence Berkeley, and Fermilab. Brookhaven joined in March 2019. Initially, Brookhaven scientists will use IBM Q quantum systems to study superconductors and other materials with strong electronic correlations. Some of the other projects they plan to tackle in the future on IBM Q quantum systems include examining the quantum nature of solar cells and photosynthesis, developing new approaches to calculate the strong force holding protons together, and applying quantum computing to artificial intelligence and machine learning.